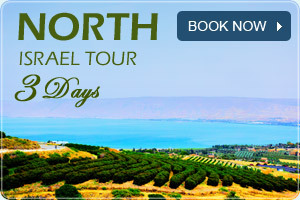 You have a day to spend in Haifa? Want to get to do as many things in the limited time frame? This next article is especially for you. 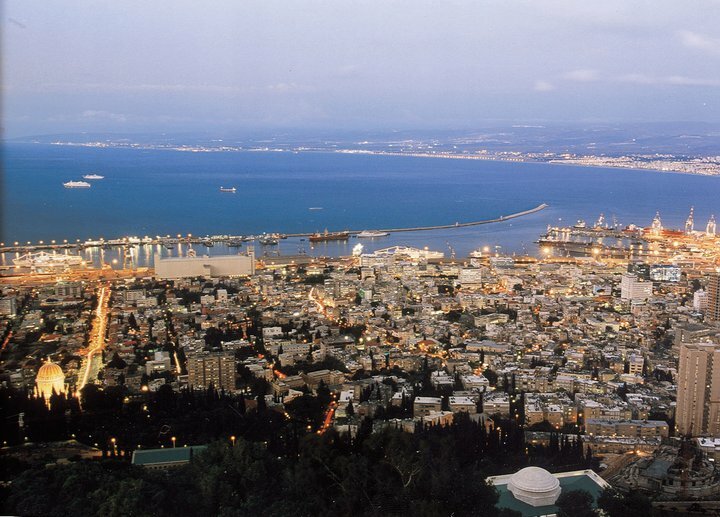 Haifa is one of the largest cities in Israel and is one of the most toured cities in Israel. Nonetheless, a one day trip that’s been well planned can provide with you with an unforgettable experience of landscapes, history, religion and more. So all that’s left for you to do is to print out this next article and hit the road. So our first stop will be at the beautiful and charming Lowe Promenade which is referred to by many as the country’s balcony. The Lowe Promenade is a promenade that extends along the upper part of Haifa and overlooks the lower part and the beautiful Bay of Haifa area. The walk along the promenade is pleasant due to the breeze coming from the sea and the view makes the promenade a perfect place to start your morning. From there we’ll continue towards the Baha’i Gardens that you can see so clearly from the promenade. The entrance to the Baha’i Gardens is free, yet you aren’t able to visit all parts of the garden throughout the week. It’s recommended to check the entry days in advance. The Baha’i Gardens is the most famous site in Haifa. The site has about 19 gardens built on the slopes of Mount Carmel and is designed in a breathtaking manner. For this reason in 2008 the Baha’i Gardens were declared a World Heritage Site. After visiting the Baha’i Gardens, we’ll continue to the German Colony that is located on the foot of the Baha’i Gardens and is the most beautiful and special neighborhood in Haifa. The Colony was built by the Germans that were a part of the Templers Cult in 1868 and was the first in the second wave of colonies built by the Templers in Israel. These days in the neighborhood you can see the impressive and amazing architectural buildings that maintain the original character of the neighborhood. Due to the fact that the neighborhood is a crowded entertainment center, it’s recommended to take a break in one of the coffee shops for breakfast or lunch and enjoy a meal overlooking the beautiful neighborhood and the Baha’i Gardens. After leaving satisfied and calm from your meal, you can continue your trip, this time in the direction of Haifa’s cable car, which connects the lower part of Haifa with the mountainous part. The distance between the German Colony and the cable car is two and a half kilometers; you can take a bus, a taxi or walk by foot and along the way you can enjoy the beauty of the biggest port in Israel. The cable car will expose you to a special angle of Haifa’s beauty and at the tip of the cable car is the famous Stella Maris Church. The Stella Maris Church/Monastery that functions these days as a church and as a monastery is considered one of the oldest monasteries in the world (1291 AD) and served Napoleon’s soldiers on their journeys to Israel. For the Church’s full story you can go to this next link. After you’ve finished your visit to the Monastery we would advise you to take a break, go back to the hotel, take a shower and put on your best clothes and go and get a feel of the city at night. We recommend a festive dinner at “Hanamal 24” restaurant. The restaurant is located in the Port of Haifa and combines gourmet food, rustic Italian design and an atmosphere of abundance. Moreover, the restaurant has a festive atmosphere and the menu is excellent and meticulous. We highly recommend it. We hope you had a fun day, at this point you can enjoy the night life that Haifa has to offer or you can go back to your hotel and rest. If by chance the first option is relevant for you, we invite you to go to this next link in order to learn more about Haifa’s night life.